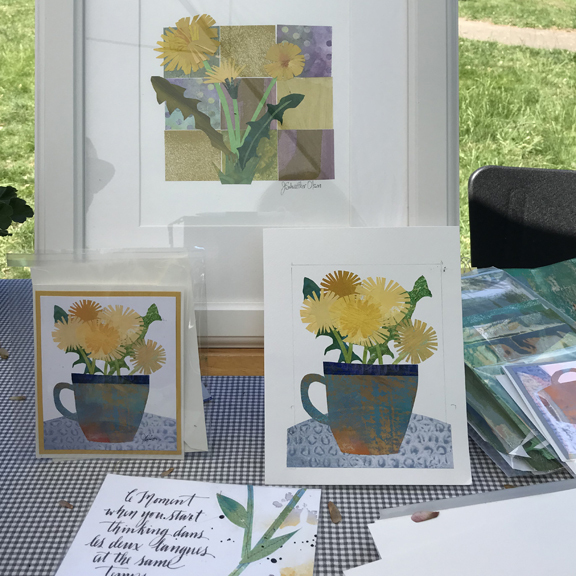 dandelion collage works by Joanna Olson. 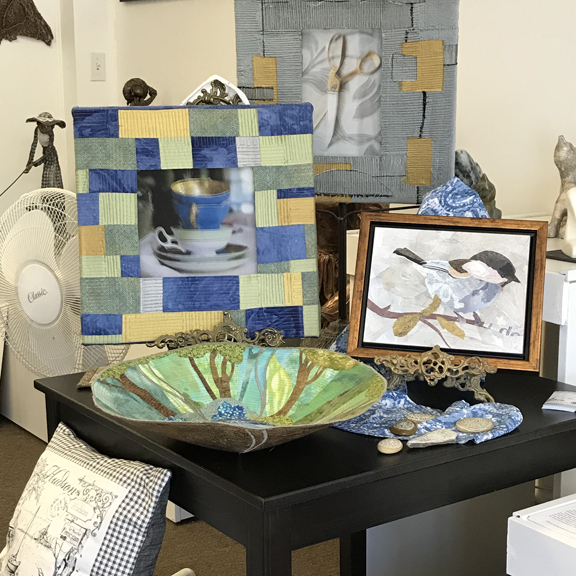 Anne Letellier, Diane Cloutier, Mary Vuorela and Joanna Olson. 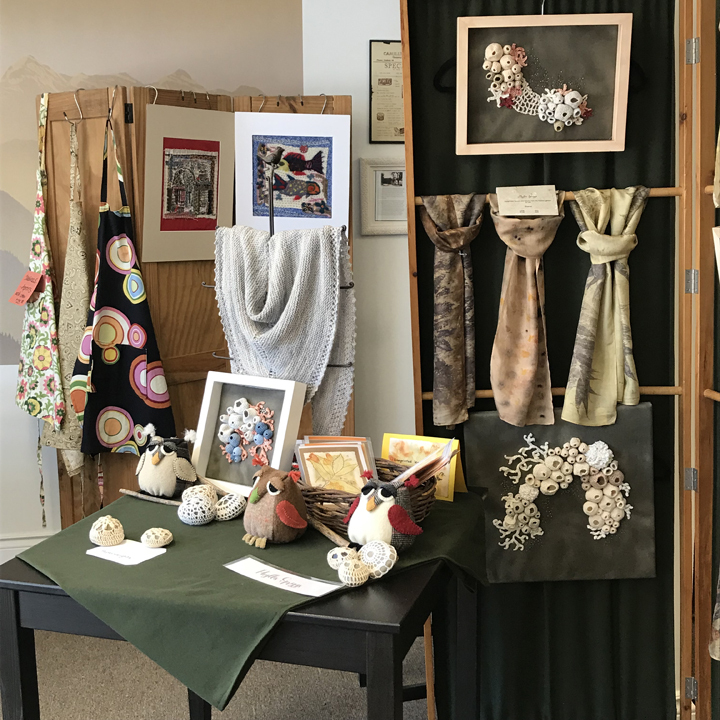 This past weekend we held our annual Christmas Market at the new gallery in town, "Gallerie Plus". 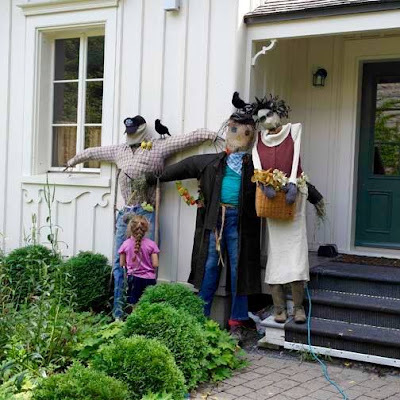 It was wonderfully attended and the vernissage featured locally made artisanal bread and bubbly provided by Bert and Heather Markgraf, our gracious hosts. my first attempt and I have to say I was pleasantly surprised and will be thinking of planning what flowers to plant next Spring to be able to continue. 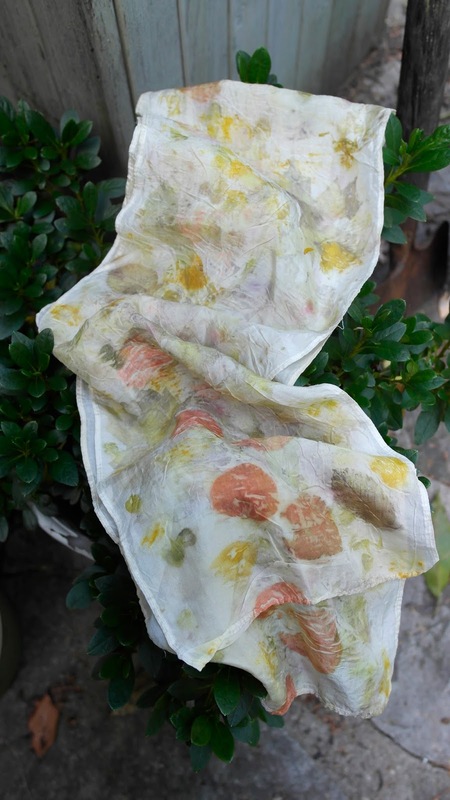 on the silk scarves that Phyllis had for sale. 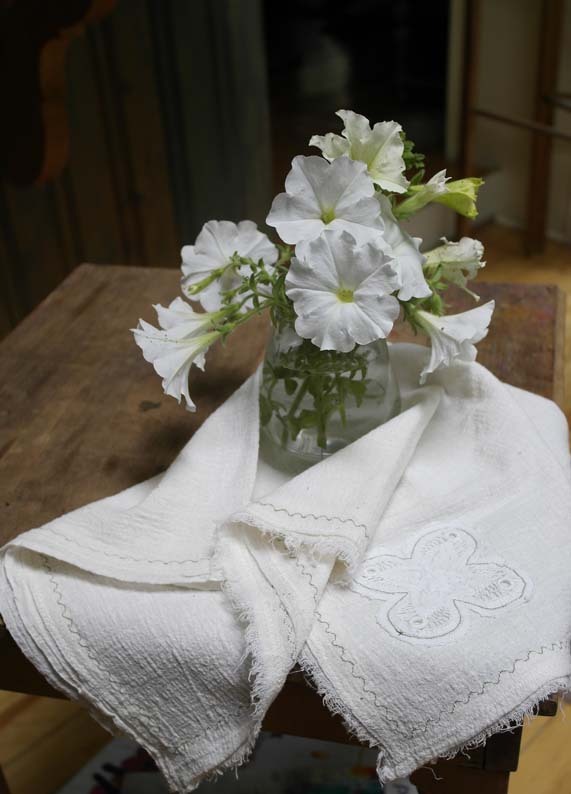 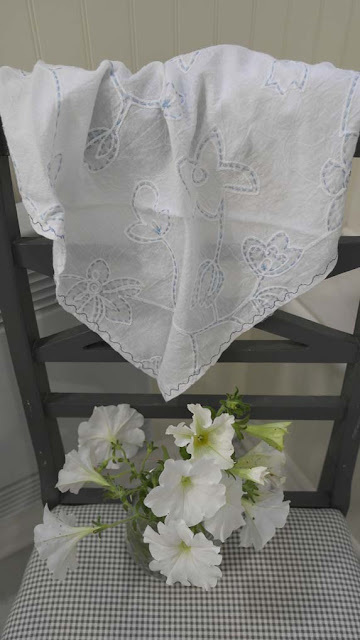 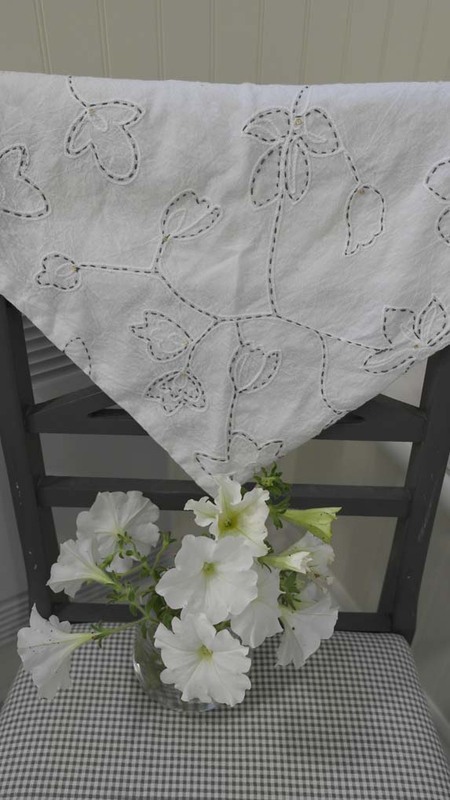 This works beautifully on watercolour paper as well as silk fabric. 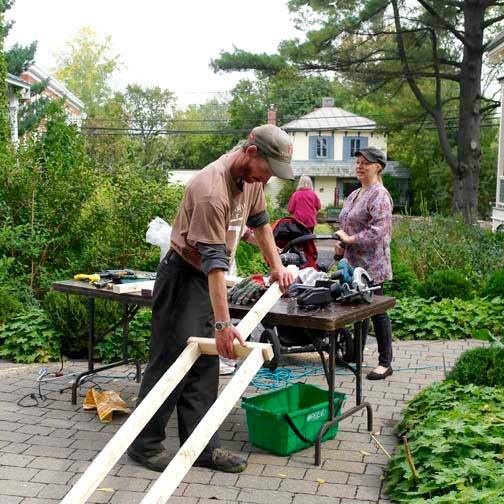 We had a chance to show off our newest project at the Tea Party recently held at the Hudson Historical Society Museum. 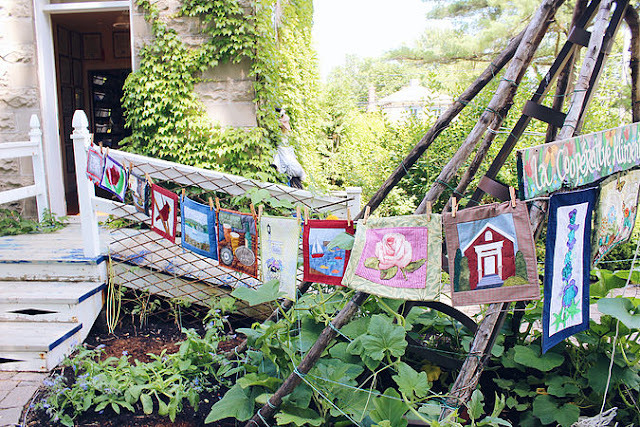 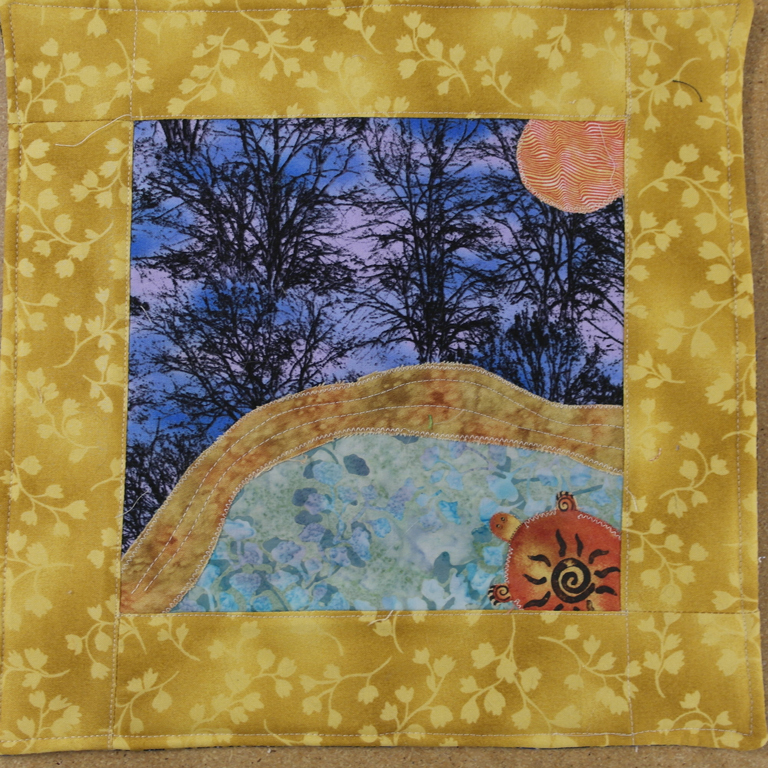 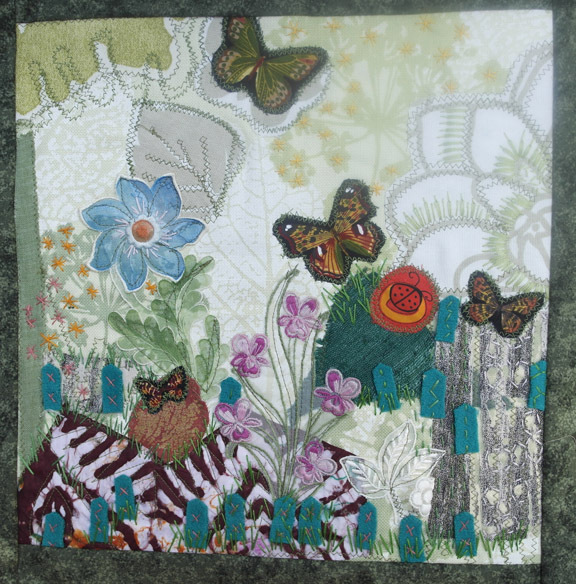 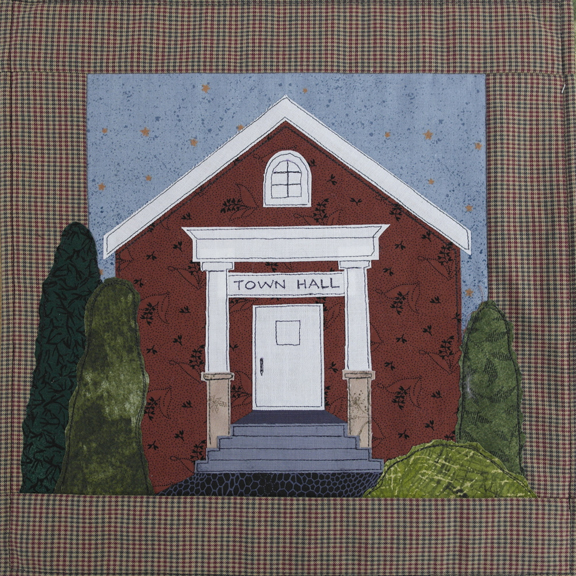 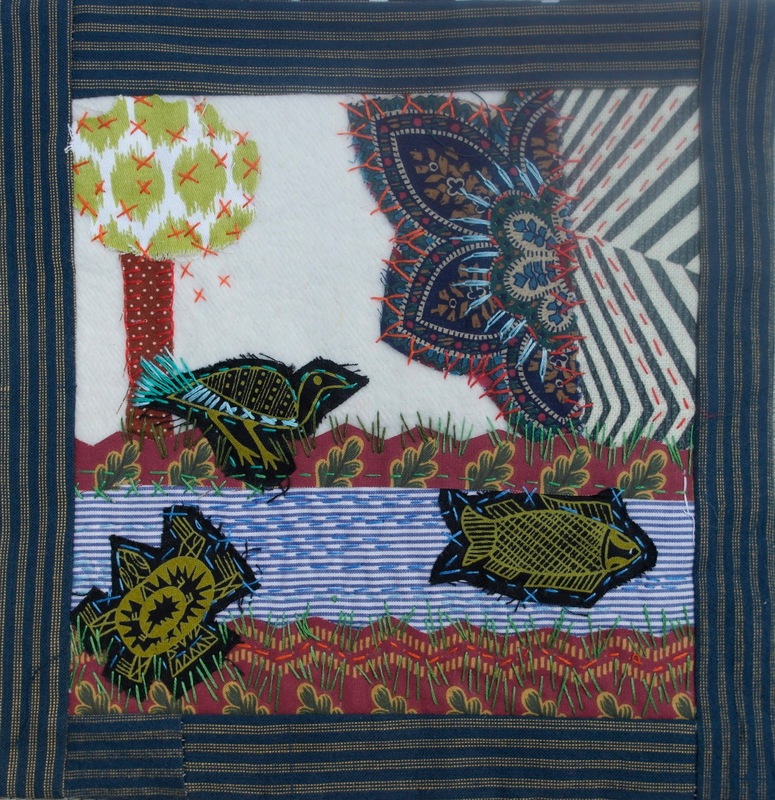 This project will be an ongoing collection of mini quilts averaging 10" x 10" inspired by our town of Hudson. 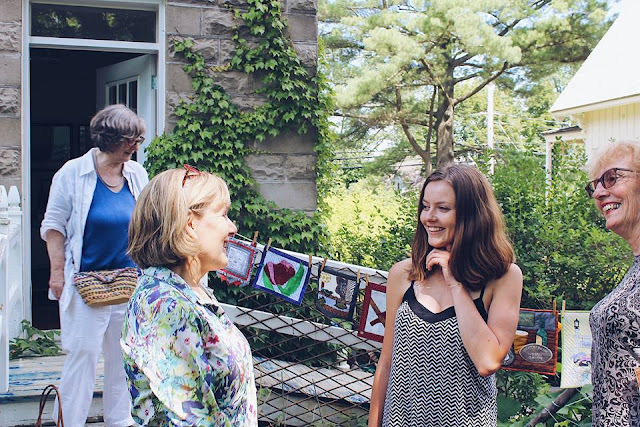 India Robbins (second from right in second photo) hosted this successful gathering. 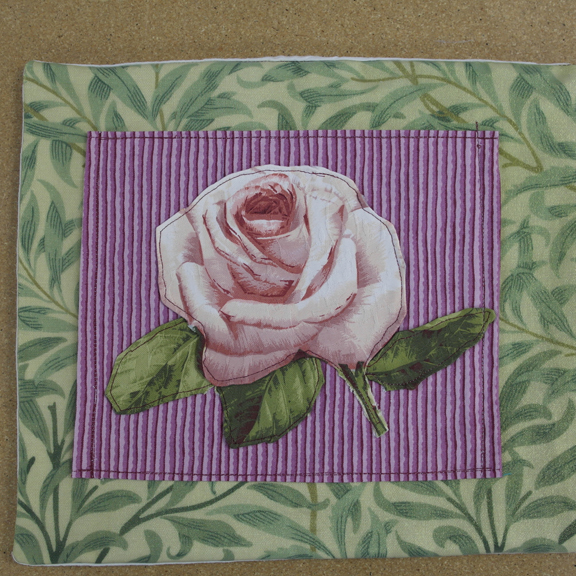 Here are just a few photos....more to follow. This year ELAN is again sponsoring an Arts Alive festival and in conjunction with Hudson Fine Craft, we planned a "slow stitching" demo/workshop this past weekend. Attendees were spotted wearing their stitched bracelet cuffs at the Artisan even across the street. Next up will be our spot at the Hudson Street Fair August 5th, an event that gets bigger and better every year! This is a case of being so far behind, I'm ahead of the game! 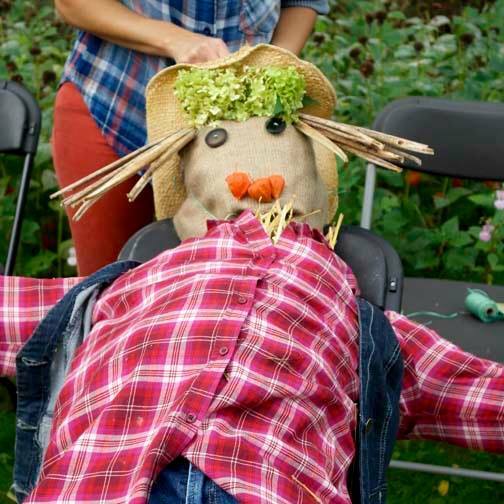 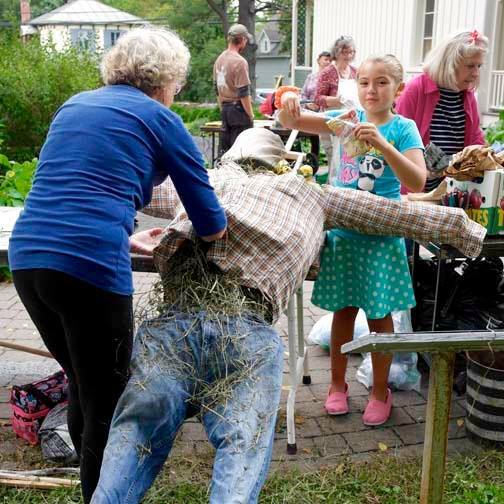 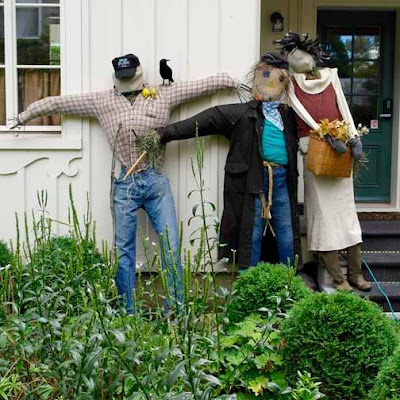 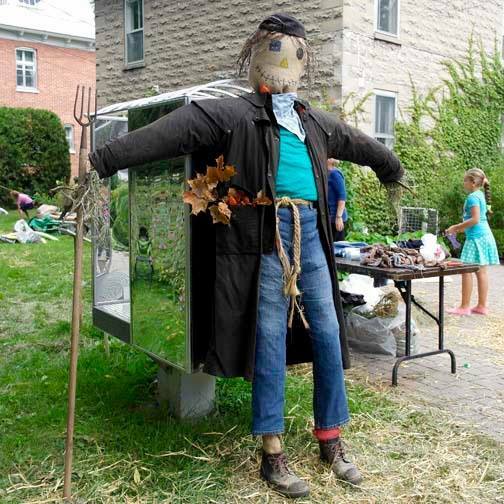 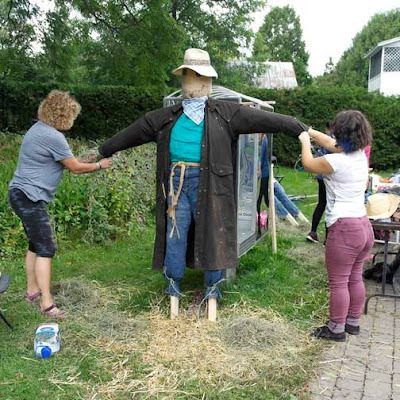 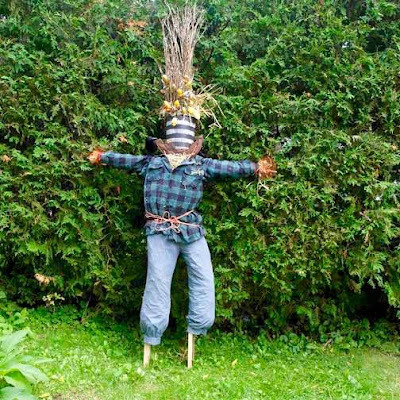 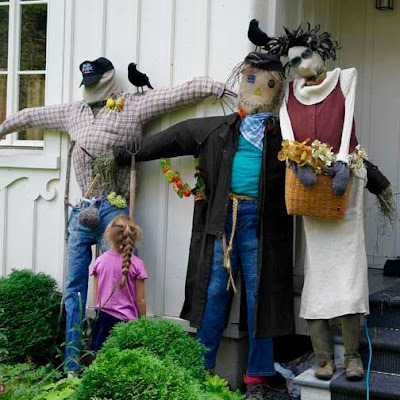 Photos form 2016's Scarecrow workshop held at the Hudson History Society Museum grounds. 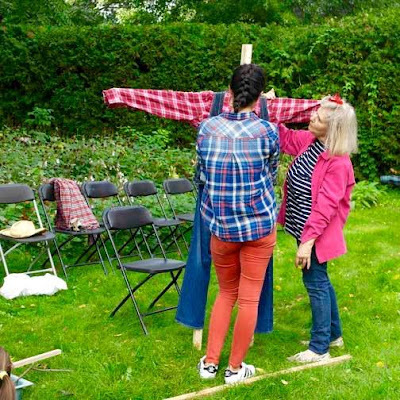 This posting is actually good timing after all as we are planning this year's workshop to be held in September. 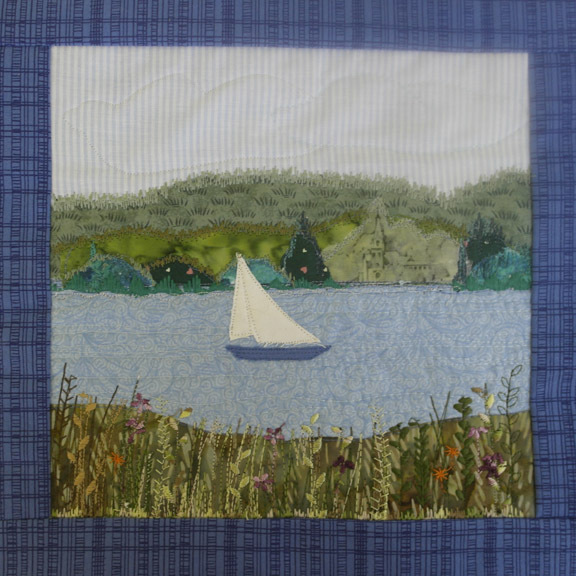 which is to invite members of Hudson Fine Craft to let their inspiration guide them in creating small format textile pieces. 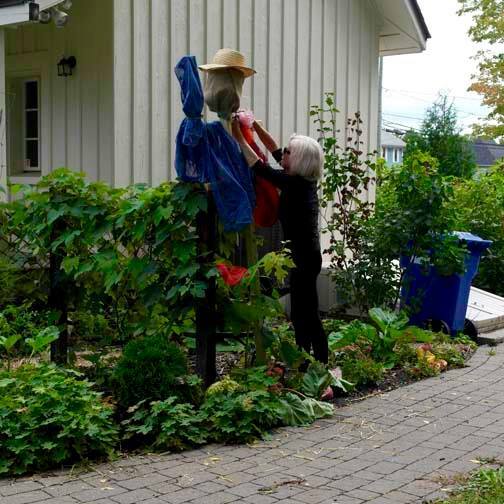 The motivation for this inspiration is our lovely small town (population <5,000) on the banks of the Lake of Two Mountains just west of Montreal. 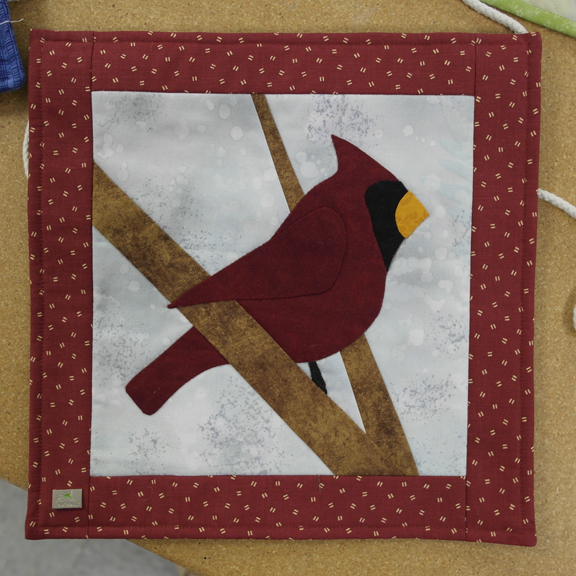 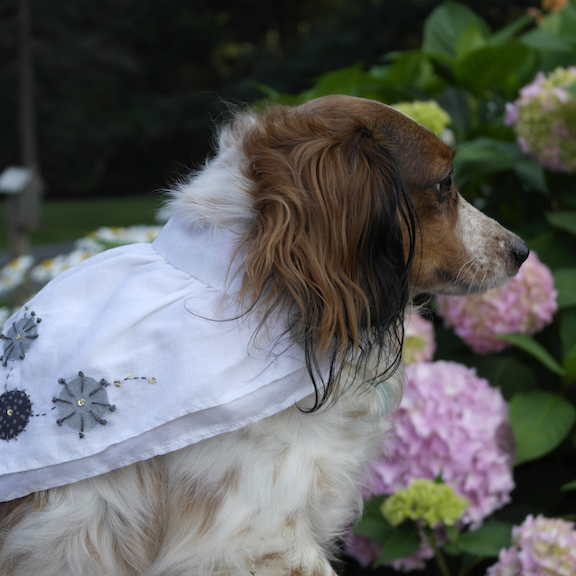 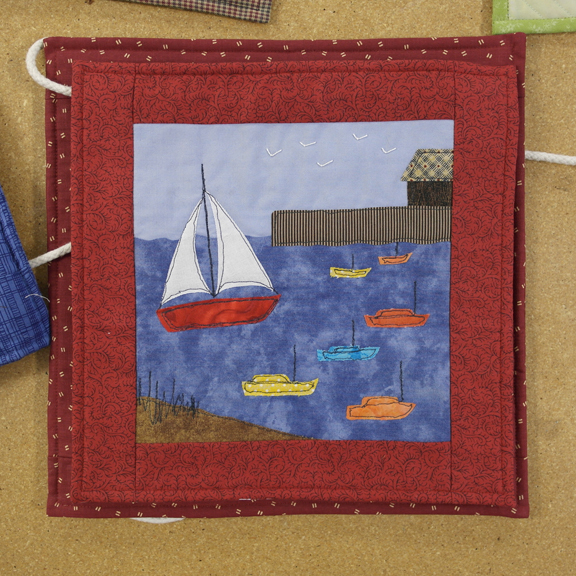 THE HUDSON VILLAGE FINE CRAFTERS represents a growing number of artisans and craft practitioners who design and make objects by hand for enjoyment or by profession. 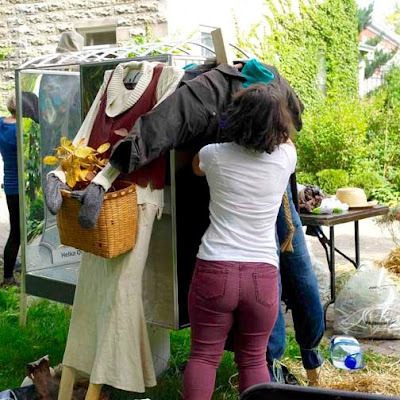 Our mission statement is to rejuvenate and establish a vibrant CULTURAL community.